Join Us for Smith’s 12th Annual Party in the Playground! 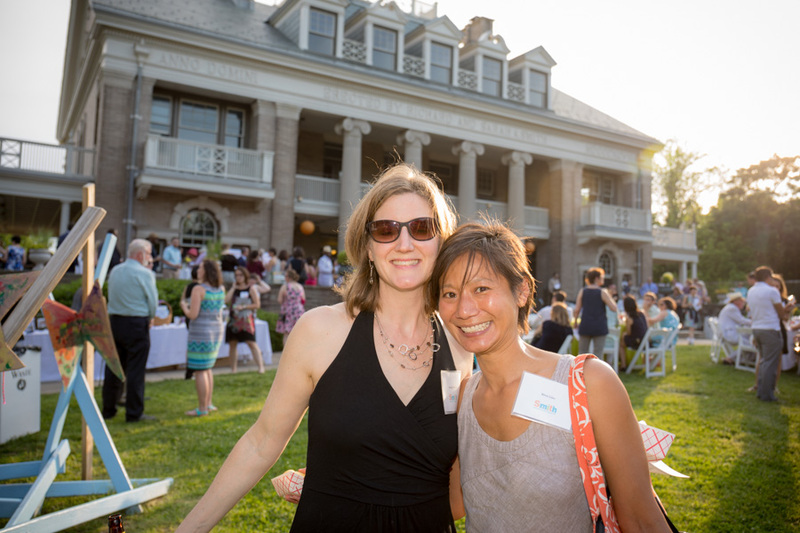 Join us for our 12th annual Party in the Playground on Wednesday, May 29, 2019 from 5:30pm-8pm where we will present the Ida Newman Magic of Play Award to two phenomenal honorees: State Rep. Donna Bullock and Meghan Talarowski of Studio Ludo (more about our honorees). Proceeds from the event are designated to keep Smith safe and clean, and provide materials that have enchanted generations of visitors: new books, toys, crafts, and other Playhouse paraphernalia. Please find more details below about how you can support Party in the Playground and feel free to contact Frances Hoover, Executive Director, at 215-765-4325 x102 or frances@smithplayground.org with questions. For generations, Smith has supported children from every Philadelphia zip code by providing free, safe opportunities to play; to get outside and into the woods; to attend educational programs; to connect with old friends and meet new ones. All the while, these gratifying experiences promote physical health, spatial reasoning, language development, and much more. Event sponsorship and donations help us provide these opportunities for children (and keep the fun free)! Sponsors and donors will be recognized throughout our printed and electronic event materials, which reach 2,500 dedicated Smith supporters (donors, members, community partners) and our 20,000 social media followers (Facebook, Twitter and Instagram). Please confirm your sponsorship by April 15 to be included in our invitation mailing. All donated items and services are tax-deductible. Read more about how your support benefits Smith and return the form below by May 1. Join us for a unique evening filled with delicious food, specialty cocktails, live music, a silent auction, and rides down the Ann Newman Giant Wooden Slide! February 25, 2019 (Philadelphia, PA) – Frances Hoover, Executive Director of Smith Playground & Playhouse, announced today that the Board of Directors elected a new slate of Board Officers. This team will lead the exciting next phase of Smith’s capital campaign, which includes beginning construction to increase play space and construct a Nature Preschool in the Playhouse. “We are entering an exciting period in the growth and development of Smith. It’s wonderful to know that we have a strong team in place to lead the way,” said Frances. Please join us in welcoming Joe Khan as President, Virginia G. Essandoh, J.D. as Vice President, and Ivy Olesh as Secretary. In addition, Stephen Wielgus will continue to serve as Board Treasurer. Joe Khan is a nationally recognized trial and appellate lawyer who has litigated hundreds of cases in state and federal courts. As the coordinator of Weisbrod Matteis & Copley ’s pro bono program, Joe has a lifelong commitment to public service and has won widespread acclaim as the runner-up in the seven-way primary election for Philadelphia District Attorney in 2017. Virginia G. Essandoh, J.D. serves as Ballard Spahr’s Chief Diversity Officer. She sits on the Management Committee and Expanded Board and is responsible for overseeing, implementing, and providing strategic leadership to Ballard Spahr’s diversity initiatives. Working closely with the Diversity and Inclusion Council, Virginia advises and collaborates with firm management, to implement the firm’s diversity and inclusion strategic goals and inspire the concepts of diversity and inclusion into firm culture. Stephen Wielgus joined Smith’s board in 2016 and has been the Board Treasurer since 2017. Steve is the Director of Financial Planning and Analysis for the University of Pennsylvania’s Business Services. Prior to joining Penn in 2013, he worked in the private sector for Johnson & Johnson in a variety of finance capacities. He holds a BS from Bucknell University and an MBA from University of North Carolina’s Kenan-Flagler Business School. Steve and his family reside in the Mt. Airy section of Philadelphia. Ivy Olesh is a civic leader, volunteering and serving on boards that focus on recreation, public space and play, public education and public art. She is the founding member and former president of a non-profit called Friends of Chester Arthur that supports the neighborhood public school where she resides and now where her son attends school. 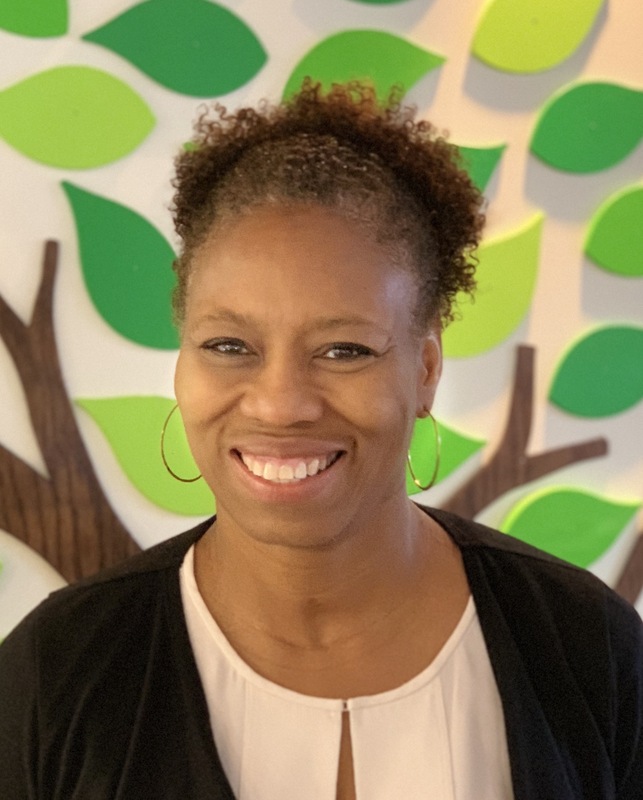 Professionally, Ivy is the Executive Director of Playworks, a nonprofit with the mission to bring safe and healthy play to kids to build confidence, reduce bullying, teach leadership and improve academic outcomes. Ivy lives in the Graduate Hospital neighborhood along with her husband, Matt, and their 8-year-old son, Brody. 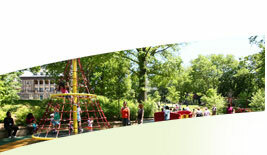 Smith Memorial Playground & Playhouse is a non-profit organization located in Philadelphia’s East Fairmount Park. Founded in 1899, Smith welcomes visitors from more than 500 zip code areas including every zip code in Philadelphia. The mission of Smith is to provide and promote opportunities for unstructured free play for children. Smith contributes to the development of healthy children, strong families, and safe communities by: 1) maintaining a proud tradition of free family admission; 2) partnering with community-based organizations to reach a diverse audience; and 3) advocating for the importance of play. For more information about Smith please visit www.smithplayground.org. On behalf of the Board of Directors and Staff, we are pleased to share the news that Frances Hoover has been named the new Executive Director of Smith Memorial Playground & Playhouse! Frances will take the helm on January 2, 2019. Frances comes to Smith from The Philadelphia School (TPS), a preschool to 8th grade Center City independent school, where she served as Director of Institutional Advancement with direct oversight of enrollment, fundraising, and communication. During her 10 years at TPS, Frances was also instrumental in the expansion of diversity and access programs, the strategic planning process, and the development of after-school and summer programming. Earlier in her career, Frances held positions in marketing and finance at Citibank, Sony BMG, and Kraft Foods. She has a certificate in painting from the Pennsylvania Academy of Fine Arts, a B.S. in accounting from Florida A&M University, and an MBA in marketing and finance from Columbia University. She and her husband, Michael, are proud parents of three children, Jaslyn, Carly, and Will. 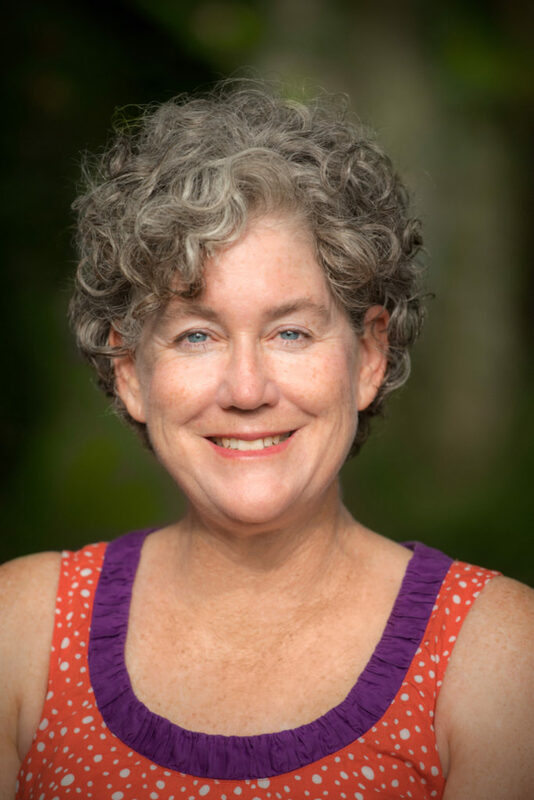 We are confident that Frances’ diverse professional expertise position her well to lead Smith in it’s next chapter, as we continue our critical work to provide and promote opportunities for unstructured free play for children. Please join us in welcoming Frances to Smith! Donate to Smith’s Annual Appeal Campaign Today! Play is crucial to a child’s development and well-being. It is at the core of Smith’s mission: to provide and promote opportunities for free unstructured play. 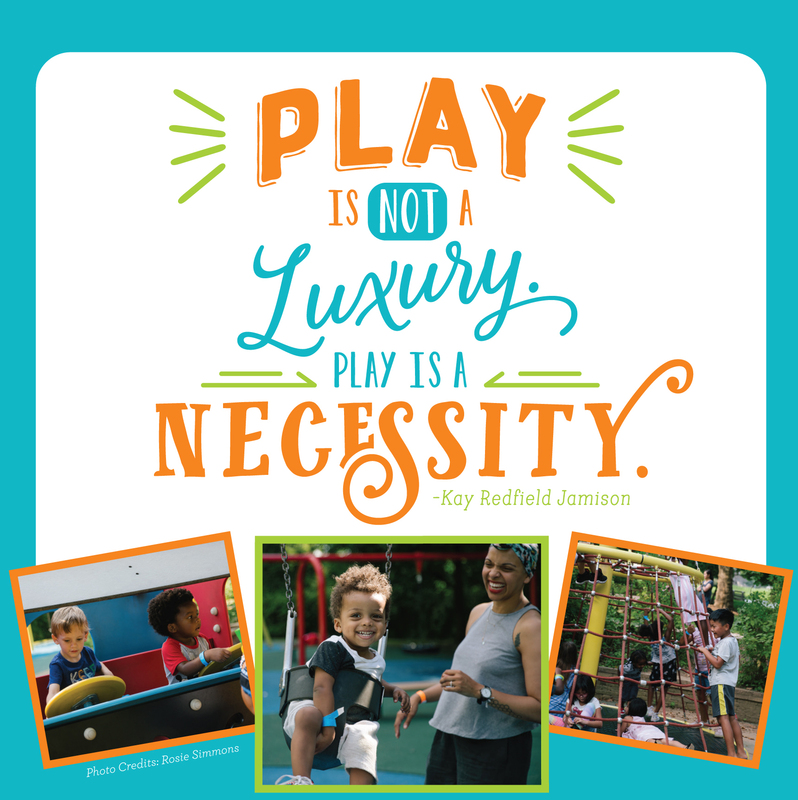 And Smith believes that play is for everyone, not just a lucky few. These skills are not a luxury and should be accessible to ALL. This is nothing new to Smith – we’ve been committed to “play for all” for over a century. Your support of Smith will allow us to continue the 119 year old tradition of daily, free admission. It will also support our new initiative of welcoming low-income families to annual events, like Play-A-Palooza and Winter Wonderland, free of charge. We are proud to say that in 2017, 25% of event admission was through the distribution of complimentary tickets to families in need. YOU can help us increase this number. Please show your dedication to PLAY and make a tax-deductible contribution to Smith Memorial Playground today. Smith and Read by 4th are excited to install Talk It Up — new playful learning signage starring “super kid” AJ — in select grocery stores, barber shops, and other locations thanks to the William Penn Foundation! Where Can I Talk It Up? Talk It Up is a 2-year initiative that aims to create high-quality caregiver and child interactions that increase early language and literacy skills in children through the use of engaging, literacy building signage in everyday spaces. This Fall 2018, the project is launching in 7 Wakefern owned grocery stores and 3 North Philadelphia barber shops and will expand to 20 more locations by January 2019. Smith is building on local and international research to turn Talk It Up into a large-scale, multi-venue project by partnering with Read by 4th, a citywide campaign working towards a shared vision that all children will be reading on grade level by 4th grade, experts Dr. Brenna Hassinger-Das (Pace University) and Dr. Jenn Zosh (Penn State University), and Mighty Engine. Smith Memorial Playground & Playhouse is thrilled to announce that it will partner with the Parent Infant Center (PIC) to open an Urban Nature Preschool at Smith! Smith is proud of our 119-year history as a beloved space where children enjoy free play, and of our education and advocacy efforts to promote the importance of play for children’s healthy development. As part of our $13.5M capital campaign, Preserving Play, we are also committed to expanding the ways that Smith serves as a resource for families. 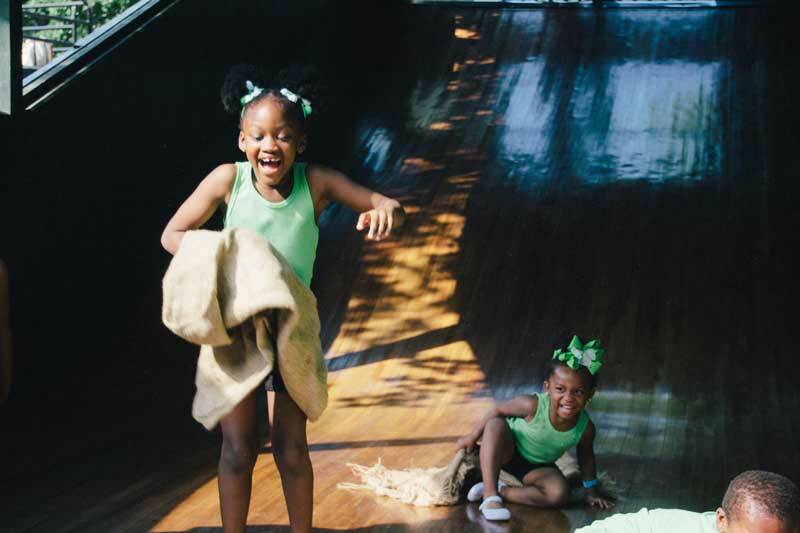 One result of making major capital improvements to our historic Playhouse will be the creation of an Urban Nature Preschool where exploration of the natural environment in East Fairmount Park and play and learning in – and through – nature will be central to the curriculum. 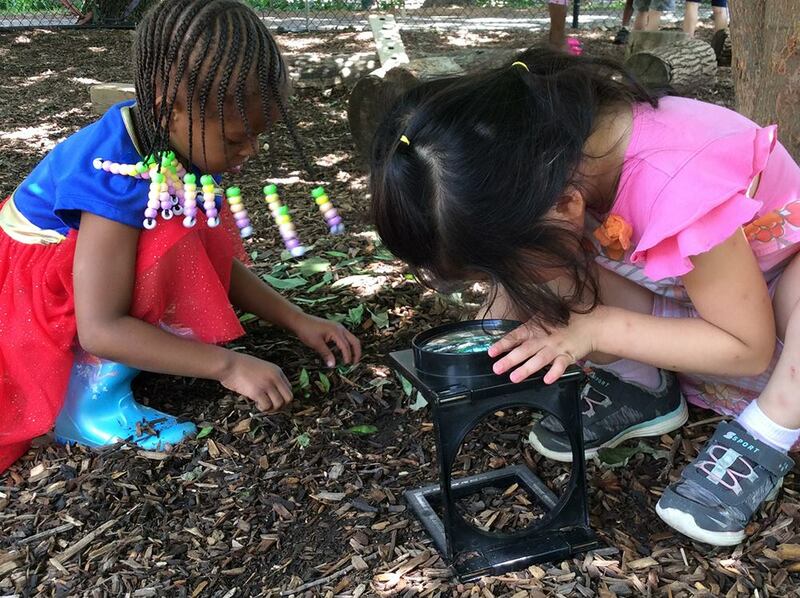 The Urban Nature Preschool will also serve as a local and regional training site for other early childhood educators who will have the opportunity to explore and study the program “in action,” and to observe how hands-on exploration and outdoor opportunities serve as the primary focus of the curriculum. We think our plan is a truly unique vision, especially in an urban environment like Philadelphia. And we know we need a great partner to help make the Urban Nature Preschool a reality. Earlier this spring, Smith’s staff and board solicited and vetted proposals for a partner to operate the preschool. We selected PIC based on its impressive track record of providing the highest quality early childhood education, its commitment to nature play and learning, and the alignment of its mission and values with Smith’s own dedication to serving a diverse population of families. The Urban Nature Preschool will be located in a portion of the Playhouse that is not used currently and that will undergo extensive repair and renovation, possibly as early as 2019. It will have two classrooms, each serving 17-18 children, ages 3-5. The preschool will operate full-day, full-year, and is committed to serving a wide range of families, including those who live in the neighborhoods closest to Smith. We look forward to this exciting partnership with PIC. In the meantime, we are focused on our capital fundraising. Reaching a $5.5M milestone will position us to break ground on renovations of the ground floor of the Playhouse, with additional capital goals for more building improvements also in the works. We are very close! More information about the urban nature preschool, including renderings, can be found here. Philadelphia, PA (June 28, 2018) – The 5th annual Kidchella Music Festival is in full swing at Smith Memorial Playground & Playhouse with remaining concerts on Friday, July 20 and August 17! 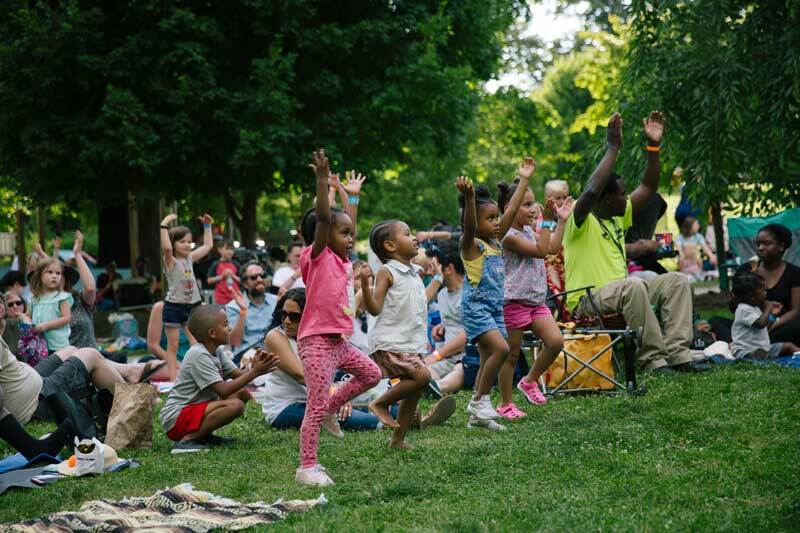 Each date will feature live music in the 6 ½ acre Playground by nationally acclaimed Children’s Music artists, youth performances, arts stations, and yummy food trucks. At 4pm families are invited to Smith for free play in the Playground and family fun in the Youth Arts Zone which includes a youth music stage, arts stations, and giveaways. Families may purchase dinner from a variety of popular food trucks or bring food for a picnic in the Playground. The main concert will begin at 6pm and will feature a fantastic lineup of family-friendly music curated by Jeff Bogle of OWTK.com and emceed by Kathy O’Connell of WXPN Kids Corner. Shine and the Moonbeams (Soul/R&B) and Grammy-nominated The Alphabet Rockers (positive Hip Hop) will perform in July and Red Yarn (foot stomping Americana Folk) and Vered and the Babes (Doo Woop inspired Acoustic Rock) will perform in August. Support for Kidchella provided in part by the Philadelphia Cultural Fund, Pennsylvania Council on the Arts, MetroKids, Power Crunch, Philadelphia Parks & Recreation, Inspire, Kia Motors America, Simple Society, Honest Tea, and Lee’s Hoagie House. 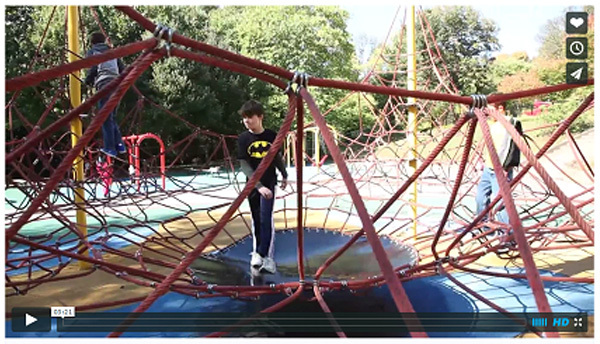 Smith Memorial Playground & Playhouse is a non-profit organization located in Philadelphia’s East Fairmount Park. Founded in 1899, Smith welcomes over 200,000 visitors annually from more than 500 zip code areas. 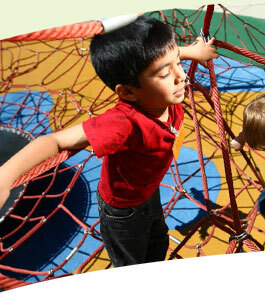 The mission of Smith is to provide and promote opportunities for unstructured free play for children. Smith contributes to the development of healthy children, strong families, and safe communities by: 1) maintaining a proud tradition of free family admission; 2) partnering with community-based organizations to reach a diverse audience; and 3) advocating for the importance of play. For more information about Smith please visit www.smithplayground.org. 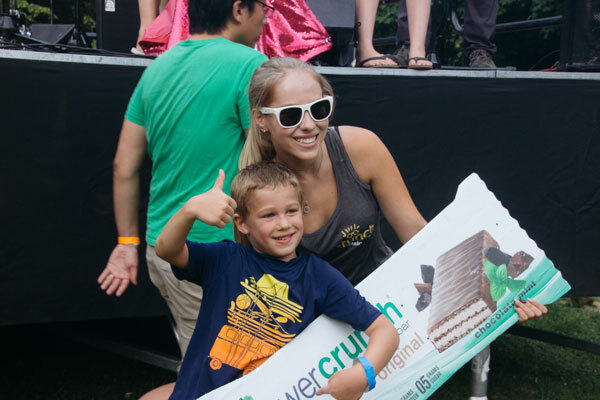 Power Crunch, a company committed to children and healthy living, joins Smith to provide support and additional programming for our annual family events including Play-A-Palooza, Kidchella Music Festival, Healthy Halloween, and Winter Wonderland. As a national sponsor of the Boys & Girls Club of America, Power Crunch will bring their “Nutrition Mission” campaign to Smith this Spring. Families are encouraged to bring non-perishable food donations to Smith through the month of April. “Nutrition Mission” is a program designed to help feed thousands of kids who participate in the National School Lunch Program. During the summer months, Nutrition Mission ensures these children receive a healthy lunch when they no longer receive a free meal at school and access to food may be minimized. Philadelphia, PA (March 1, 2018) – Smith Memorial Playground & Playhouse invites families to Play-A-Palooza 2018, the seasonal grand opening of the Playground, on Saturday, March 31 from 12pm – 4pm. This year, Play-A-Palooza will include a special PBS Kids Pop Up area on Smith’s front lawn featuring appearances by Nature Cat, special giveaways, and games in addition to live performances by All Around the World Music; Keystone State Boychoir, Pennsylvania Girlchoir, Garden State Girlchoir, New Jersey Boychoir, Philadelphia School for the Circus Arts and Project Capoeira; and other activities in the 6 1/2 acre Playground! A variety of nature play activities, arts and crafts, and games will be presented by other local partners including Audubon Pennsylvania, Fairmount Water Works Interpretive Center, Kith + Kin, Let’s Go Outdoors, Northeast Treatment Centers, Outward Bound, Parent-Child Home Program, Public Health Management Corporation, Read by 4th, Soccer Shots, and Tinkergarten. Healthy snacks generously provided by Herr’s. Other support for Play-A-Palooza provided in part by Power Crunch and WHYY. Admission is $10 per child or free household admission for Smith members and ACCESS cardholders. 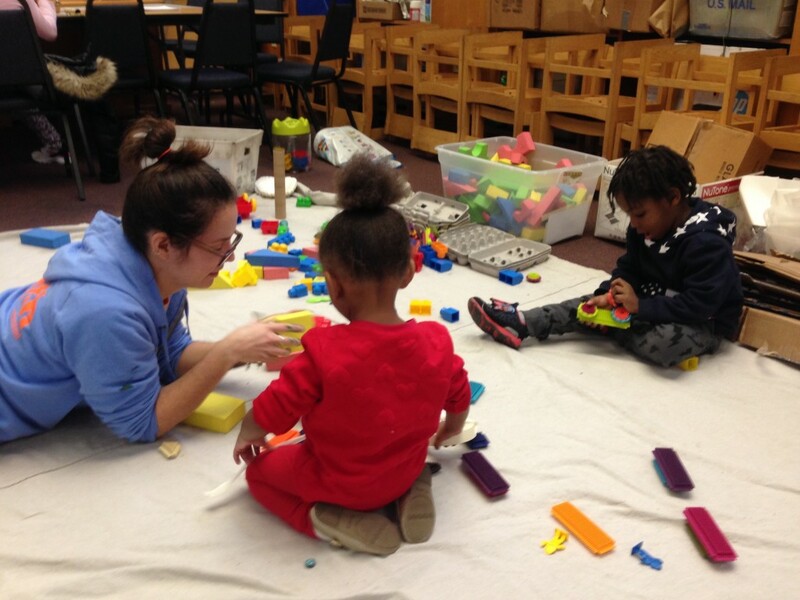 Smith has started a partnership with the Free Library of Philadelphia, Studio Ludo, Erector Sets Inc., and DIGSAU to create new play spaces in the Cecil B. Moore, Wyoming, Kingsessing, and Whitman library branches. Smith will educate library staff about how to best incorporate play into its programming. Community engagement sessions were held in January and February to gather ideas and feedback from families about what play could look like at each of the four local branches. Smith Memorial Playground has been a treasured destination for generations of families for over 100 years. An individual’s “Smith memories” can illustrate our positive effect on a child, which can last a lifetime. When I was 6 years old, my Sunday School teacher took our class and some of the mothers to Smith Playground. The year was 1930. It was a very long ride on the number 3 trolley. Because I got “trolley” sick, I was always given peppermint Chiclets. To this day, I seldom eat anything peppermint! 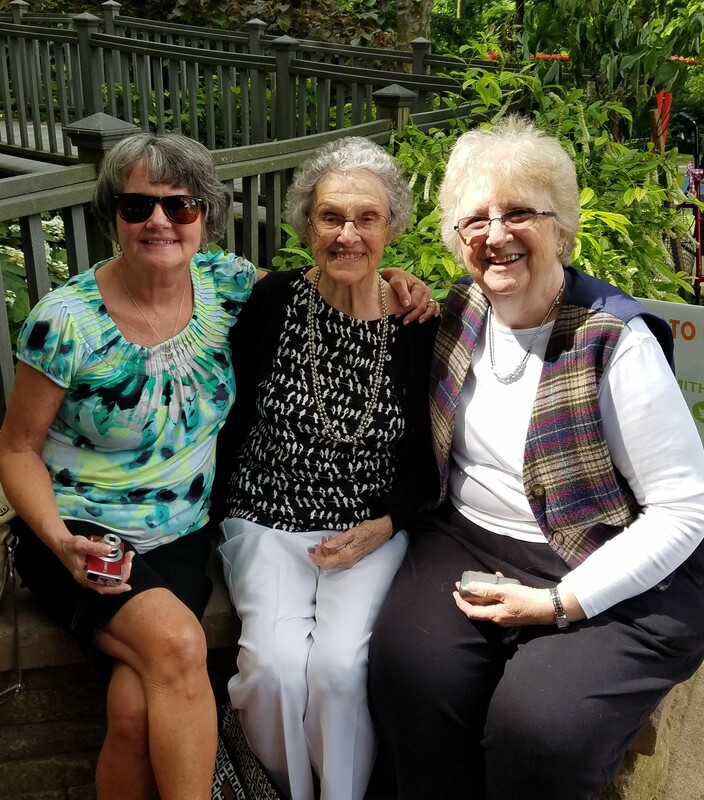 Helen (middle) visited us with her daughter, Gale, (left) and sister-in-law, Joanne. We spent many hours in the big house playing checkers and other games, but the highlight of the day was the big sliding board. We went up and down, up and down. Every so often, it was adults only and the mothers stood in line and took their turns.After that visit, my mother took my brothers and me every summer. And now, the summer of 2016, 86 years later, I went back to Smith Playground! I remember the sliding board being much bigger, housed in a two story house with lots of steps to get to the top. Of course, I was very little and it seemed huge! What a surprise! My daughter, Gale, enjoyed her turn on the slide. We had a wonderful visit. 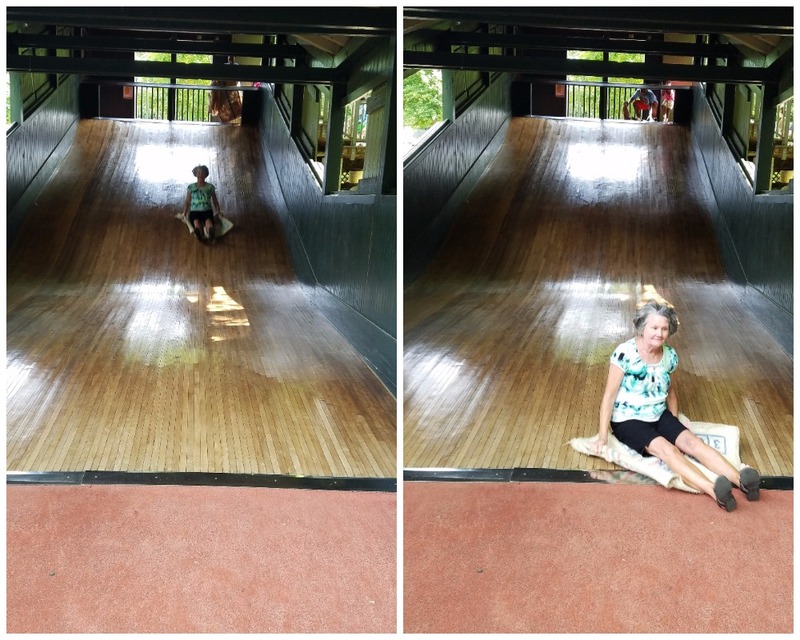 Gale goes down the Ann Newman Giant Wooden Slide for the first time! Do you have a Smith memory you’d like to share with us? We want to hear from you. Please email your story/memory to Zoe Hillengas, Communications Manager, at zoe@smithplayground.org. 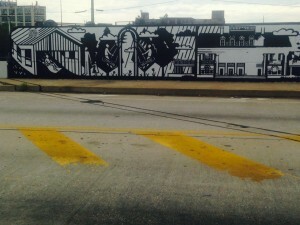 Check out the mural on your next visit to Smith!